Neste, the world's leading producer of premium renewable fuels, and Total Fluides, a leading producer and marketer of high-purity hydrocarbon fluids, have signed a collaborative agreement for the supply of Neste proprietary NEXBTL renewable isoalkane used by Total Fluides as feedstock to produce and develop innovative bio-based solvents and technical fluids. 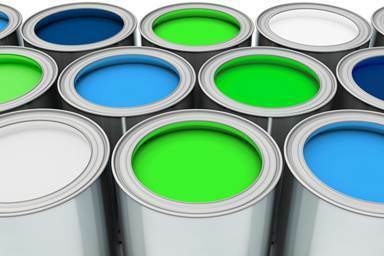 Total Fluides will market a new line of renewable fluids for numerous applications such as paints and coatings, drilling fluids, solvents for emulsion polymerization, printing ink fluids, emollients for cosmetics and many others industrial and automotive fluids. "The bio-based solvents produced from NEXBTL renewable isoalkane and processed using Total Fluides' advanced technology are ideal for downstream use, as their premium quality means that no modifications need to be made to existing processes or production methods," explains Kaisa Hietala, Neste's Executive Vice President, Renewable Products. "The new agreement is an important step towards growing our foothold in the chemical industry, where the demand for renewable components is on the increase." "The use of bio-sourced raw materials will bring innovative solutions to the market. The first feedbacks from our customers, who have been testing our new fluids, are very positive and very encouraging" says Joël Navaron, Total Fluides' President. "The development of bio-based solvents and technical fluids is in line with Total Fluides' strategy to be a responsible actor and to constantly widen its offering of very high performance products to its customers." Neste's NEXBTL renewable products have a comparable composition to that of their fossil equivalents and, thanks to Total Fluides' advanced technology, they can be transformed into materials with unique properties. Total Fluides will produce these new bio-based high-quality special fluids in its plant in France. Neste produces NEXBTL products intended for chemical industry use at its renewable products refineries in the Netherlands, Singapore and Finland.